Samsung Electronics Co., Ltd., an expert provider of advanced memory solutions for more than three decades, today announced worldwide availability of the 750 EVO solid state drive (SSD) in 120GB, 250GB and an all new 500GB capacity. The 750 EVO SSDs provide mainstream consumers and PC builders with an efficient migration path from hard disk drives (HDDs) or slow performing entry-level SSDs to a faster and more reliable storage solution for every day computer use. Extending Samsung’s heritage of offering cutting-edge memory solutions, the 750 EVO SSDs leverage Samsung’s advanced NAND flash technology and are packed with the company’s proprietary TurboWrite, Dynamic Thermal Guard protection and RAPID Mode features that together contribute to their high performance. Also equipped with Samsung’s powerful MGX controller, the 750 EVO SSDs provide sequential read and write speeds of up to 540MB/s and 520MB/s respectively, when TurboWrite is used. The 750 EVO line-up is an ideal PC upgrade option that will turbo-charge users’ computing and multi-tasking needs at their home, school and office. With Samsung Data Migration and Magician software, upgrading to the 750 EVO from existing storage device is quick and easy. The SSD also features reliable AES 256-bit hardware encryption to ensure stored data remain safe and secure. Unlike an HDD, the 750 EVO SSD has no moving parts, so consumers do not need to worry about the wear and tear on moving parts that can result in lost or corrupted data. Samsung will offer the new 750 EVO 500GB to consumers with a three-year limited warranty or 100 terabytes written (TBW) in more than 50 countries and areas, including the USA, Europe, China, Korea, and other regions starting in early June. The 750 EVO 500GB’s MSRP (Manufacturer’s Suggested Retail Price) is $149.99. 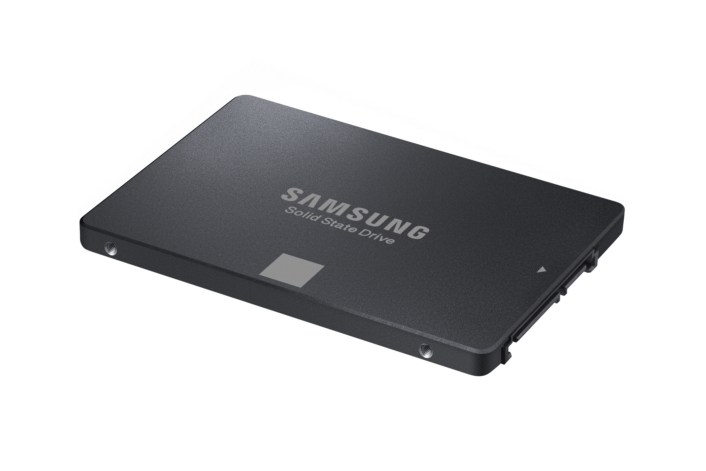 For more information, please visit www.samsung.com/SSD.